Association: – meek, – quietly, – smaller problems, – internal feelings, – shyness. Question: – Which small worries gnaw at me? Key words: Restricted, – small, – feed searching, – innocence, – trust, – everyday miracle, – internal strength, – intellectual curiosity, – splitting, – inside show, – western soul path. Description: The mouse who is associated in the medicine wheel with the middle position of the western soul path and the inside show is small and stays in a relatively small territory. She can see not especially wide, but only that what is directly before her eyes. The mice who belong to the big order of the rodents seem everywhere in the world. Most from them are looked by the person as pests. Since the mouse looks everywhere for feed and eats everything what she can find: Food, field products, clothes, books. But they also perform to the net of the life a service, while they consume insects and weed seeds. General meaning: This see what is directly before your eyes, – which recognise truth in an easier manner, – look in your inside. 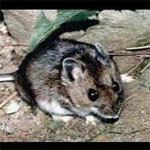 Association: Mice – money, – grey mouse – shyly and externally a little advantageously, – Mausi – pet name for a woman. Transcendent meaning: The mouse is a teacher who can show you your strengths as well as your weaknesses, and teaches you to recognise the close-looking after, before you look after the wide distant. Except under ‘rodent’ of said the ‘little mouse’ can be evaluated in dreams of above all young men as a symbol of the female gender organ. Besides, red mice call abnormal sexual wishes. The mouse is also for the weakness of a person to put his nose everywhere curiously. Mice have an unfavorable meaning if they appear in masses in the dream, – they register that something gnaws at us or makes us worries. Then fear and disgust spread in the dream mood. It is a symbol of the strong increase and the gluttony. A mouse means a house slave, – she lives with us under the same roof, feeds herself from the same stocks and is timourous. From good premeaning it is to see many mice at home, namely cheerfully dancing, – they indicate big joy of life and increase in house slaves. If one perceives something unusual with the mice, one keeps, besides, before eyes that that what happens in the awake state differs in no manner from the dream events, – the same prediction comes up then to both, a fact which was confirmed to me by the experience. kill: one will derive from the misfortune more different his own benefits. Dreaming a woman of a mouse, an ingenious, perfidious enemy threatens her. seen a woman a mouse in her clothes, it could be involved in a bad scandal. see: Loss and quarrel in the family.